When will be Scotland's Superhospital next episode air date? 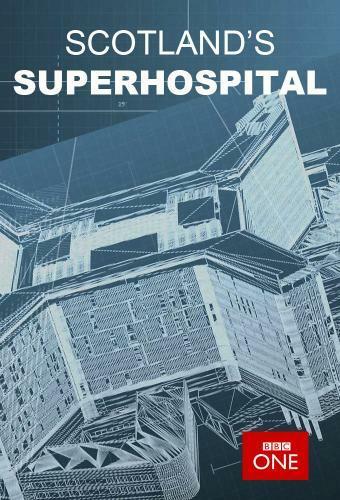 Is Scotland's Superhospital renewed or cancelled? Where to countdown Scotland's Superhospital air dates? 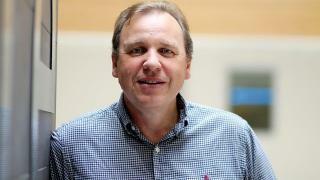 Is Scotland's Superhospital worth watching? Following the staff and patients of four of Glasgow's oldest hospitals as they move into one brand new state-of-the-art superhospital, the Queen Elizabeth University Hospital. Episode two follows the closure of the Western Infirmary and Scotland's largest Children's hospital, known locally as Yorkhill. Yorkhill recently celebrated its 100-year anniversary and many of the families it has served have come back to say goodbye. The transfer of patients to the new Royal Hospital for Children involves moving some of the hospital's sickest children, including four-month-old Barbara, who has a hole in her heart. She needs to be carefully monitored by a team of anaesthetists during her three-mile ambulance journey. On the Schiehallion cancer ward, staff prepare to close the doors for good, and look forward to the better facilities in the new hospital. Although the new children's hospital has been built alongside the adult's, its design is unique. The outpatients waiting area is like a giant playground and many children may not even be aware that they're waiting for an appointment. Paediatric A&E consultant Jo Stirling summed up her new home: 'I think it's fantastic, compared to the old one, which we loved - but more like you would love a slightly doddering old relative who is maybe not at their best'. Two years after opening its doors, the Queen Elizabeth University Hospital is home to 10,000 staff and thousands of patients. In this programme, a 12-strong trauma team assemble as George is helicoptered to the rooftop helipad. He's been in a head-on collision with a lorry near Loch Fyne and is dangerously unstable. 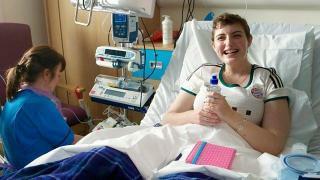 In the children's hospital, Connor, an 18 year old with leukaemia, faces an agonising decision: whether to have a stem cell transplant that gives him a chance of cure but means his college course will be disrupted, or to opt for chemotherapy that would allow him to continue with his busy life - but is unlikely to rid him of his leukaemia. We meet Davey, one of the 200 porters who are the worker bees of the hospital, walking miles every shift; and baby Fynn who, at 18 weeks old, can now have his cleft lip and palate repaired under anaesthetic by the top plastic surgeons in the country. Two years after opening its doors, the Queen Elizabeth University Hospital is home to 10,000 staff and thousands of patients. In this programme, hospital staff are excited to be part of a new clinical trial which could revolutionise kidney dialysis for thousands of patients around the world, eight-year-old Charlotte has an unusual operation to enlarge her windpipe and help her avoid terrifying bouts of croup, and 50-year-old Peter has an operation to remove his brain tumour - while he is awake. Series following the staff and patients at Glasgow's Queen Elizabeth University Hospital. In this edition, Rose is rushed to the hospital and waits to find out if a kidney from a deceased donor is a match for her, we meet Maureen, and her best friend Del, who is about to donate one of her kidneys to her life-long pal, and the staff in the Emergency Department are surprised to see how a man in his 50s reacts to a painkiller after he breaks his ankle skateboarding. Scotland's Superhospital next episode air date provides TVMaze for you. EpisoDate.com is your TV show guide to Countdown Scotland's Superhospital Episode Air Dates and to stay in touch with Scotland's Superhospital next episode Air Date and your others favorite TV Shows. Add the shows you like to a "Watchlist" and let the site take it from there.